Following careful restorative work, the original paintwork has been retained. Many hours of work were involved. 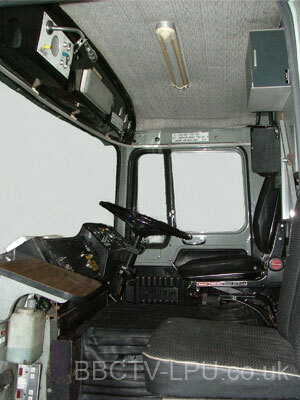 The truck was found in remarkably good condition given that it was thirty years old. It was still able to be driven, even after being laid-up for such a long period of time. 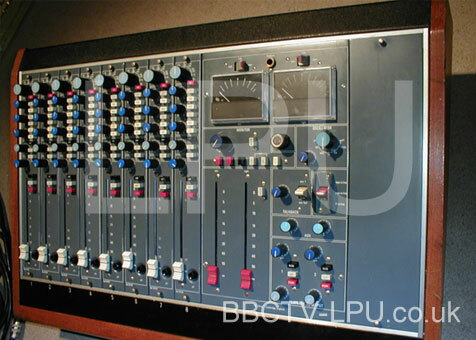 Wanted – a Rupert Neve 542 8 or 10 channel Sound Mixer Console (similar to pic) Can you help? A Studor B62 ¼” tape recorder also AKG & BBC mics & other sound kit. 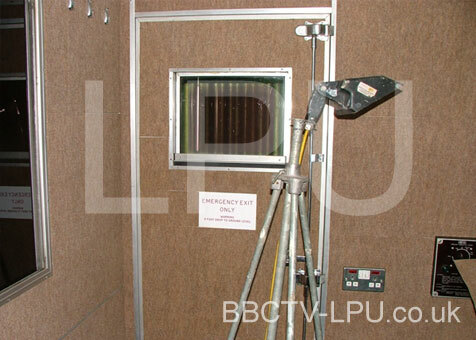 Both main sound preview & monitoring Speakers are BBC LS3. Inside the production room the walls had been updated and covered in carpet tiles giving a modern environment feel to the otherwise cold laminate surfaces. They may have had acoustic properties but they certainly didn’t have the right look! Following many hours of painstaking work removing the old tiles, it was pleasing to discover the original Formica walls were in excellent order after cleaning them: Solvents and chemical de-greasers were used to remove old glue from surfaces. 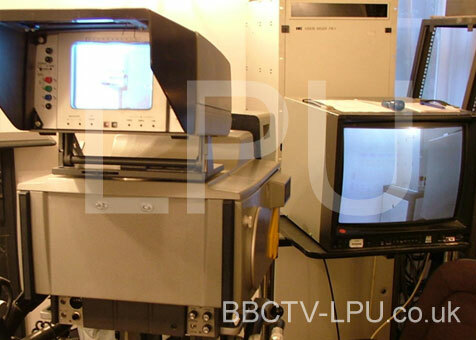 Testing of CCU and camera head modules via this Philips LDK 25 colour camera. The LDK25 is similar to the LDK5 but is the Multicore TV 36 cable variant sharing numerous parts. 1” Plumbicon tubes & replacement modules are also wanted items. 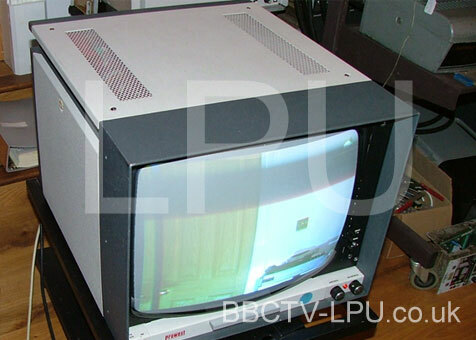 An original replacement Prowest PM17A Monitor on test. 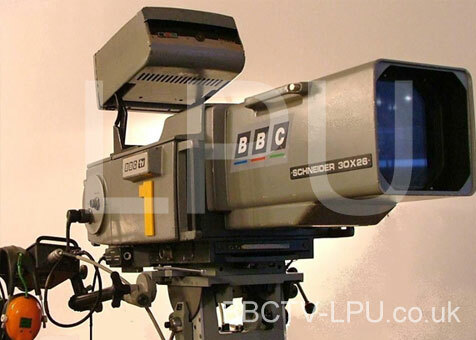 The BBC used many of these. 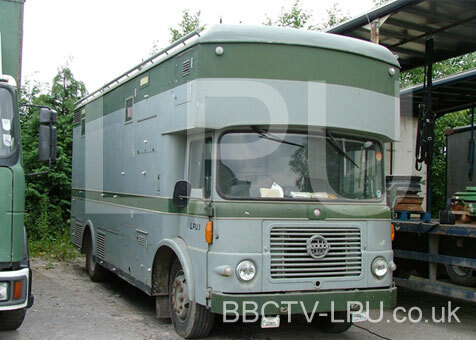 This one had only been used in a test lab and is in ‘as new’ condition. These were often problematical in their day – this one recently failed following an internal fuse blowing but has since been resurrected. 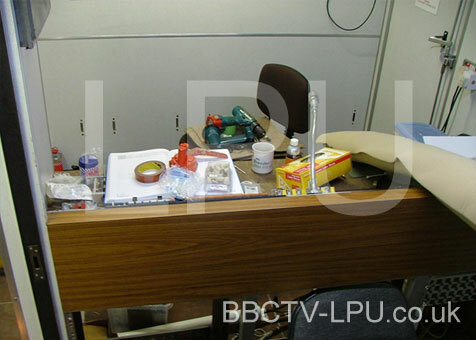 Rebuilding the Vision Engineers desk within the production gallery: Replacement equipment was sourced & restored to refit back into original positions in the racks. Following an upgrade & refit, engineering monitors in the vision control area were replaced with Barco CTVM 3/37 14” colour monitors. 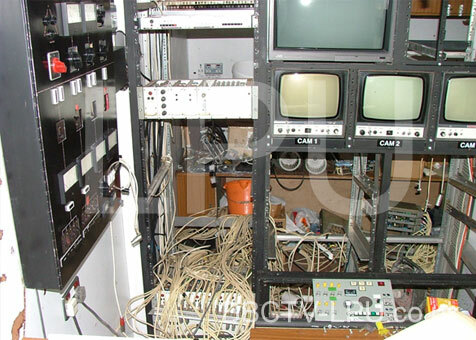 Many yards (miles) of cables had to be traced, checked and cleaned from many years of dirt & grime induced via the air circulation system used for cooling the rack units. 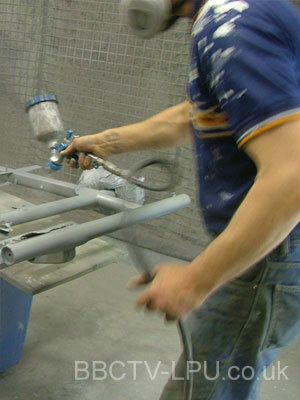 Ongoing works to the main production desk & 19” racks for Matrix & Vision Mixer crates. The area is being reconstructed to its former original condition. 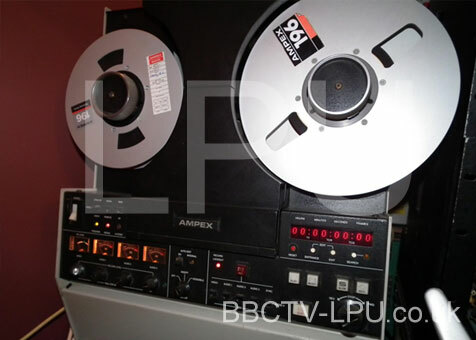 Ampex VPR II B 1 inch VTR tested and working prior to installation. Age related problems were encountered, particularly with the associated time base corrector. 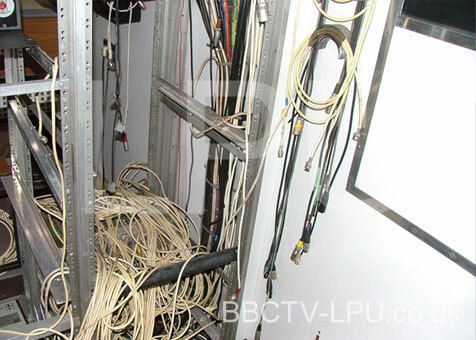 Equipment not being switched on for many years can cause numerous problems. 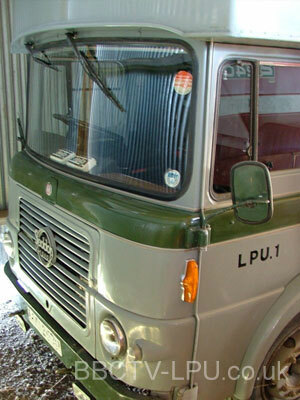 Age brings different types of faults than those experienced when in service life – David Slater kindly provided this machine for the project. 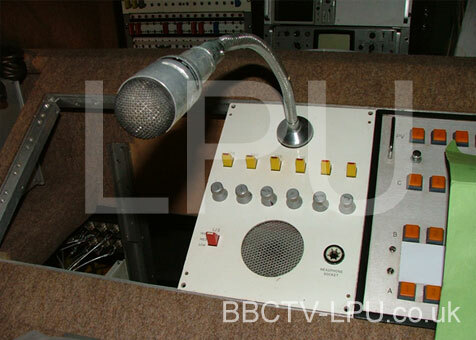 Comms panels and Reslo Microphones were relocated to their original positions within the various control desks. These were thoroughly cleaned up and tested they showed no faults. A perfect working Cox 631 Vision Mixer, identical to the original, was sourced. Thank you to Rod Hawkins, Mike Cox & Bob Head. It was very fortunate to find this important part of the unit. If you have any equipment that you think may help the restoration then please do get in touch. There is a fairly long list of obscure small items that are also wanted. Copyright of some items may belong to other parties. 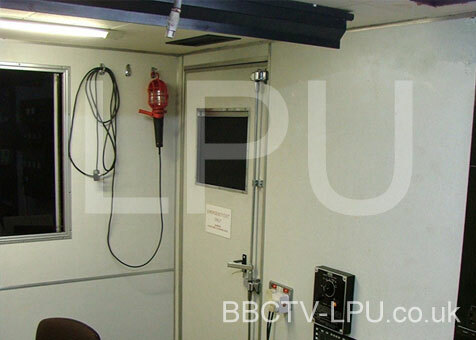 Copyright © 2019 BBC TV LPU1. Powered by WordPress. Theme: Spacious by ThemeGrill.